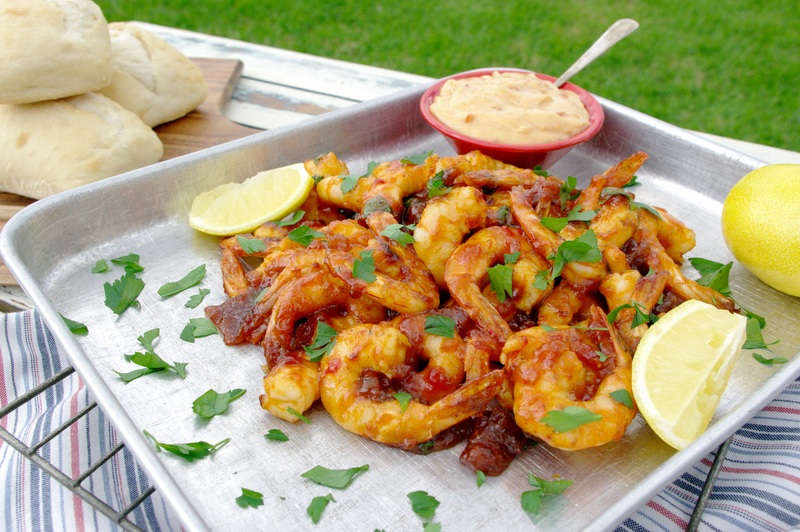 Fresh, Australian Green Prawns are cooked in Anathoth Farm Sweet Chilli Relish, topped with flat leaf parsley and served with chilli mayo dipping sauce in this simple recipe that is sure to impress. The spicy Sweet Chilli Relish brings out the natural sweetness of the prawns in this succulent and aromatic seafood dish. Melt butter and oil in a large, deep frying pan over medium-high heat. Add prawns, in batches and cook, stirring occasionally, for 2 to 3 minutes or until prawns are just pink. Meanwhile, add whole egg mayonnaise and 2 tbs of Anathoth Farm Sweet Chilli Relish to a small mixing bowl, stir well to combine and transfer to a serving dish. Stir in parsley and serve with crusty bread and lemon wedges and chilli mayo. Tip: if you have any of the mayo left over, pop it on top of your next pizza or in a toastie – amazing!